In our regular life there are different situations that can affect our sleep. Sometimes, we are not aware how job or family’s concerns, conflicts in our relationships, financial troubles or even bad habits disturb our capacity to rest. 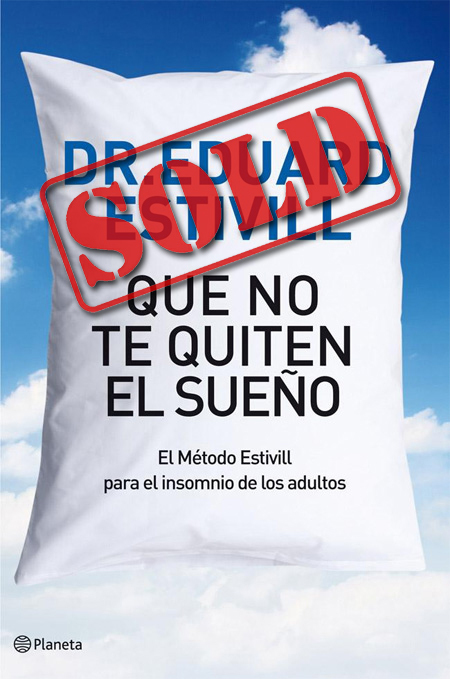 After the worldwide success of The Estivill Method that brought to sleep properly thousands of kids, this new practical book focuses on adults to teach them procedures to defuse anxiety and stress. Through that, it will be feasible to reach a healing and restorative sleep which will allow to face daily challenges in a more optimistic and active way. A good rest is an investment for the day after. To sleep all right is to work fine, and to work fine is a warranty for success.